Successfully launching a new employee means checking in on regular intervals to see how things are going. I recommend checking in after the person has been on the job for 30, 60, and 90 days. These are informal opportunities to ask how things are going and whether the employee has clear direction on what he should be doing. We also ask whether he needs any tools or training and, most important, whether there is anything else we should be aware of or anything he would like to discuss. Check-ins provide a one-on-one opportunity for employees to share thoughts and concerns. They also continue to communicate to employees that they’re important and you want them to succeed. Hiring someone is a highly human interaction. After all, it’s a matter of people coming together and making a decision to spend 40-plus hours a week together for an undefined period of time well into the future. It’s easy to let emotions, especially positive ones, tempt you into skipping your due diligence before offering a job to someone who appears ideal. Here’s my advice: don’t let this happen to you. No matter how impressive someone appears to be, you should always call his three most recent employers and ask questions that get the real story. Ask, “What did Bill do?” instead of, “Bill said he was a project manager who oversaw 20 employees. Is this true?” Open-ended questions ensure that you will get a more complete and accurate description of the candidate’s past job responsibilities and performance (some companies, however, maintain a strict HR policy of only confirming the dates of employment and the job titles a person had while in their organization). It also makes sense to get a professional outside assessment of your leading candidates. We spend about $300 per assessment, which provides us with an extensive overview of the candidate’s personality and allows us to decide whether the person will fit with our culture. Sound expensive? Think about the costs (both time and money) involved in a bad hire. Also, candidates are typically hired based on skill and fired because of personality. If we’re going to spend 1,000’s of hours working together, doesn’t it make sense to spend about 20 hours on the front end to ensure it’s a fit for both sides? 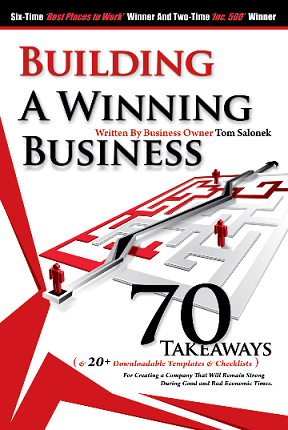 Over the course of the next year, I’ll be posting all the parts of my book Building a Winning Business: 70 Takeaways for Creating a Strong Company during Good and Bad Economic Times. I’m working on a Second Edition of the book and will boost the Takeaways to 100. If you thoughts on additional topics, leave a comment or fire me an email @ tsalonek at Intertech dot com. (When writing this book) My primary goal was to create a single source that shares “How we do stuff at Intertech” for new employees and clients. 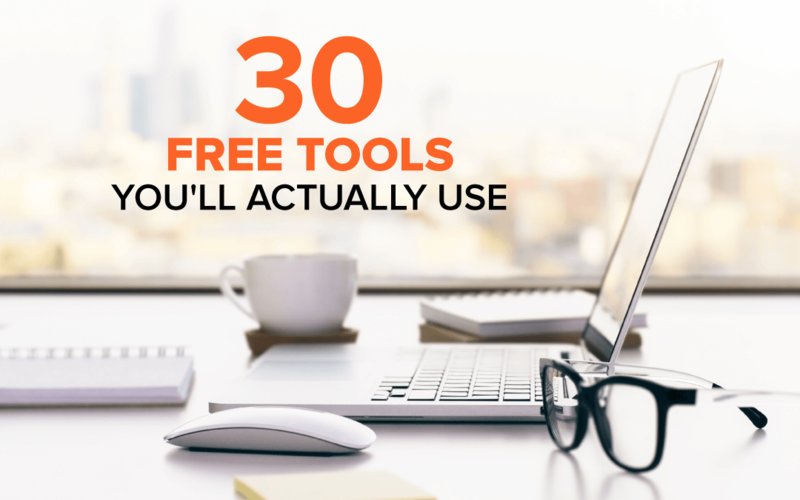 Whether you’re running your own company, managing an IT department within a multinational corporation, or leading a software development team, it’s my hope that some of the ideas and information presented here may work for you. One estimate from Forrester Research projects that by 2015 some 3.3 million professional positions will move offshore. Various economic prognosticators also are predicting the demise of entire industries as the inevitable outcome of the very entrenched economic downturn in which the world now finds itself. Things are changing! The upcoming workforce is a generation unlike any other and will stretch us in how we attract and retain talent. Our competition can as easily come from Bangalore as Boston or Burnsville, Minnesota. An uncertain economy makes forecasting and growth challenging at best. Yet, I believe, all these changes are good in the long term. They force us to get better at serving our customers and employers, cultivating our employees (and ourselves), and understanding our markets. In essence, they compel us to build the strongest organizations possible to compete in the largely uncharted business waters of the 21st century. This book is far from an ivory tower treatise, although it is an attempt to share the proven strategies I’ve gleaned from nearly 20 years in the business world. It includes lessons gathered from the perennial “school of hard knocks,” as well as valuable lessons I’ve learned from respected executive education programs, graduate-level classes, and ideas from fellow entrepreneurs at Harvard, the Massachusetts Institute of Technology, and the University of Minnesota’s Carlson School of Management. A business thinker of particular influence worth noting and thanking here is Verne Harnish, author of Mastering the Rockefeller Habits. I’m certainly not a Stephen Covey or a Peter Drucker, but I have seen firsthand how effectively these strategies work at Intertech. Intertech has received more than 35 awards—for being one of the fastest-growing firms in America; for being one of the “best places to work,” according to Minneapolis/St. Paul Business Journal; and for excellence in our management practices. But the real proof is that Intertech has satisfied clients, great employees, and a profitable bottom line. I hope this book helps you to do just that.